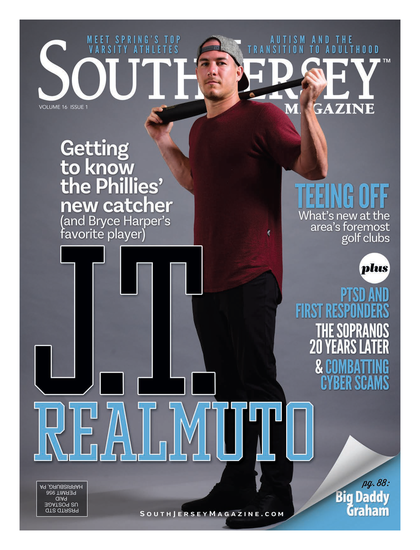 Our annual list of South Jersey’s best places to live is one of the most anticipated features we put out each year, and we must say—we feel pretty darn lucky that people look forward to the bragging rights that come with this list. It means there’s civic pride here that rivals all other parts of New Jersey, and it stems from a strong community spirit that, for many, is generations-strong. It wasn’t easy to formulate this list. Splitting it between towns over and under 10,000, we pored over the latest figures on average property values, taxes, crime incidents reported per 1,000 people, and high school performance (which took into consideration SAT scores, the number of AP classes offered, and the rate at which students passed the statewide proficiency test). This year, we’ve chosen to highlight five towns, not based on where they fall, but on the fact that they represent the epitome of why this is a great place to call home. You’ll find a town that seemingly has it all, from quiet residential neighborhoods to booming commerce and everything in between; the one with small-town charm that seems straight out of a 1950s TV series; the one that provides endless recreational opportunities for every member of the family; and also ones that, although right under noses, have been a little more modest in the spotlight—until now. Remember, this is only one way to rank our municipalities. No matter where a town falls, they all form one large region that’s worth being proud of. The last time we saw Washington Township was in 2010 when it ranked 22nd. Despite not making the overall list since then, it’s remained a contender in top Gloucester County towns, and has also been recognized among the tops for school performance; so we’re as surprised as you by the two-year break. But now it’s back, and with plenty of reason. With two large areas of commerce—one centered on the Hurffville-Cross Keys Road region and the other on the Route 42 stretch—the township has the ratables to support its booming population and powerhouse of a school district. A bustling business area yet family-centered town, “Township”—as it’s affectionately dubbed—is home to the TD Bank Arts Center, drawing acts such as B.B. King and Willie Nelson, as well as Washington Lake Park, a serenely wooded recreation area complete with an open-air, 2,200-square-foot stage amphitheater. Between the popular senior center, a new, state-of-the-art 20,000-square-foot library, and access to Kennedy University Hospital and surrounding health care facilities, we won’t be surprised if Washington Township continues to climb the list. Early settlers include the Heritage family, who later started Heritage Dairy, in the 1700s; and the Bell family in 1899, the founders of General Mills, Inc., for whom Bells Lake and Bells Elementary School are named. More than 150 log cabins, built from the 1920s on, help make up the rustic community of nearly 1,500 homes, and the proud residents claim it’s the highest concentration of log cabins in the world. While restrictions on the types of homes that could be built in the borough eased up quite a few decades ago, there are still many solid reminders that this isn’t your typical small town—just one being that each street here is called a trail; there are no “roads” other than the ones that lead out of town. Not that there’s much reason to leave besides commuting to work. There’s the swimming, fishing and hiking opportunities provided by the lakes and trails, and there’s also the 18-hole Medford Lakes Country Club circa 1929. And don’t forget about the playgrounds, ball fields and tennis courts maintained by the Medford Lakes Colony, which is more than just the typical homeowners association here. They put on some of the most popular annual events in the region, such as the Colony Sprint Triathlon, marking its third year this August, and the Canoe Carnival, a weeklong event of activities culminating in a parade of canoes-turned-floats down Lower Aetna Lake. That will be celebrating its 82nd year. The local athletic association also adds a unique recreational element; along with the standard youth offerings, it includes programs for adult softball leagues and, yes, beach volleyball. In terms of age alone, Wenonah is a relatively young town. Before 1870, it wasn’t much more than a stop along the West Jersey Railroad; but it was around that time when businessmen from Philadelphia came by rail in search of a break from the city. That draw of the fresh air they discovered along the Mantua Creek—and the potential that came with it to find an unspoiled slice of suburbia—is still very much alive today. One would be surprised driving through the borough, where the original railroad depot still stands and the quaint municipal building is built to replicate a turn-of-the-century station, that it’s one of the “newer” towns around. But with a founding rooted in peaceful seclusion, not much has changed since its early days, as the borough has managed to escape the sprawl all around it. Not only does the population sit just under 2,300—and only 829 households—but it has decreased slightly in each census since 1990. There’s just one school—Wenonah Elementary—that serves some 250 students through sixth grade before sending them to Gateway Regional. And in the latest newsletter to residents from its six-member police force, traffic congestion near that school and the local dance studio were the No. 1 concerns. Certainly not crime. It’s no wonder Wenonah is known for its abundance of family-friendly events, such as its Fourth of July parade—once named one of the top 10 small-town parades in the country. It’s an event that pulls out all the stops, where the whole world outside of Wenonah ceases to exist for that one day. In the last five years, it’s even included a popular pie-eating contest reminiscent of those county fair events from the early 1900s. Combine that with drinking hot chocolate and singing carols around the annual Christmas tree lighting—and the fact that it’s so small they can hold an annual boroughwide yard sale to benefit the local Girl Scout troop—and it’s plain to see it truly is the town where everyone knows your name. Though Wenonah is made up of barely one square mile, there’s more than six miles of hiking trails and 40 bridges weaved throughout its waterways. Between the tranquility found in the Marlton Lakes and Kings Grant sections of town, the downtown vibe of the village of Marlton, and the crowd-drawing economic corridors of routes 70 and 73, Marlton is just about as diverse as it can get. Complement that with a huge population (after all, it’s the largest municipality in Burlington County), and you have a town that seems to represent the best elements of South Jersey. It’s a town that is just as much a place to commute to as it is to commute from. There are more than 1,800 registered businesses, ranging from the mom and pop on Main Street to the high-end chains of the Promenade and corporate business parks on the main highways. But for those working beyond their hometown’s borders, there’s easy access to Philadelphia and everything up and down I-295. Either way, the convenience makes it just a little bit easier to catch the kids’ games after work at Memorial and Savich fields. Marlton used to be so large that it included all of what’s now Medford and Mount Laurel. Now the town is a melting pot in its landscape due to the influence of those surrounding communities as well as Cherry Hill. Homes are nestled away in the edges by Medford (and the Pine Barrens), where business is scattered, with both becoming much more dense in the direction of Camden County, building a shopping mecca that rivals nearby competition. And in between are numerous recreation areas, single-family neighborhoods, condos and senior living communities. Despite being such a large town—just under 30 square miles—residents are able to experience a small-town atmosphere thanks to a strong focus on community. The nonprofit Evesham Celebrations Foundation helps with that, putting on events like the Bike Evesham 25-mile ride, the popular harvest and winter festivals, and the annual Taste of Evesham—which showcases dining options in town that are just as diverse as its economy. 1973: The year Two Guys opened in the space now occupied by Kohl’s, which helped lead to the economic boom at the Route 70/73 exchange. This well-manicured river town has been on our list for several years, but it slipped a few notches to No. 24 last year. Now, it’s safe to say it’s on the rebound—and for good. One look at the developments of the last few years shows why. Cinnaminson is taking the lead in transforming the image of the Route 130 corridor. While the town is home to the 113-year-old Riverton Country Club—a traditional club rich in history—and the surrounding meticulously maintained Victorian and Tudor-style homes, it’s also joined with 11 other towns along the highway that have dealt with outdated and vacant stores; but the town has a plan. In 2008, the vacant lot at Route 130 and Cinnaminson Avenue was completely redeveloped into the pristine 300,000-plus-square-foot Shoppes at Cinnaminson, taking advantage of the some 60,000 cars that drive through the economic passageway each day (and the average $85,000 income found in a three-mile radius). It marked the beginning of a new phase of business opportunity, and similar plans are now underway for a mixed-use shopping center on the northern gateway to town. Just this past March, the Department of Community and Economic Development was created. Among their goals are to rebrand Route 130. Dining establishments have already been showing heavy interest—evidenced by restaurants such as Friday’s, Chili’s and P.J. Whelihan’s reportedly looking into opening up shop. The only thing stopping them is a lack of available liquor licenses. There are other significant examples of progress—such as the expansion of the world headquarters of Sea Box, Inc. But eyes are clearly set on more, namely the industrial park along Taylors Lane and the Azalea Farms area. These plans are getting Cinnaminson some well-deserved attention. The regional efforts have been recognized with awards from PlanSmart New Jersey, the Walt Whitman Preservation Forum, Southern New Jersey Development Council, and more. And the Route 130 success is seen in the numbers: Since 2005, companies have invested more than $2 billion in this 17-mile stretch of roadway, now dubbed the River Route. Published (and copyrighted) in South Jersey Magazine, Volume 10, Issue 2 (May, 2013).